cardigans and kids: Thinking ahead. Even though I have a table runner for Autumn waiting to be finished, I've been thinking about my Christmas Plan Twenty-Eleven. Which was going great until about, oh, maybe April? It is now October and I really need to get back on track. I'm hoping Sew, Mama, Sew's Handmade Holiday Inspiration helps me with this. 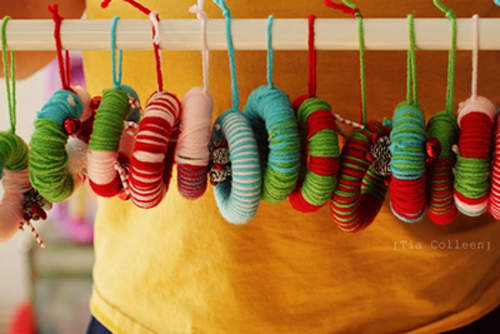 This morning I noticed they had posted these mini yarn wreath's. Since I have lots of yarn ends, and I think all the kids would like this project, I'm adding it to my prep list. I also have fit in a bit of cutting for some cute projects from Fa, La, La, La, Felt. 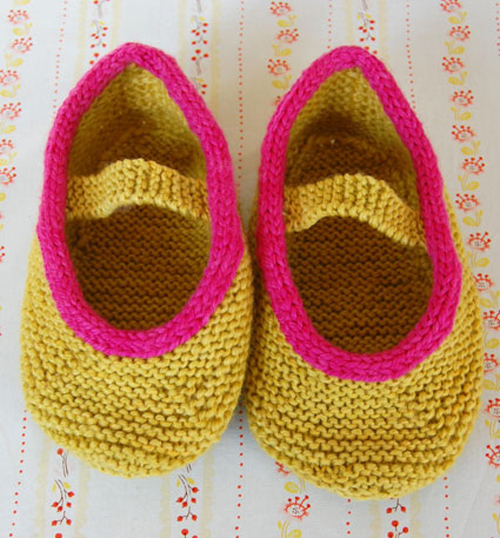 And I've finally ordered yarn to finish knitting the pair of Mary Jane Slippers I started in January or February. Anyone else working on Christmas projects? If so, I love to hear about them.